Ficosa, a top-tier global provider devoted to the research, development, manufacturing and marketing of safety, connectivity and efficiency systems for the automotive sector, has established itself in Africa for the first time, opening a new production centre in Rabat (in the Technopolis free zone), Morocco. With an investment of €50 million, the new plant will employ roughly 700 people and post an estimated yearly turnover of €150 million by 2022. At this new plant, which has a total surface area of 12,000 square meters that can be expanded to 17,000, Ficosa is inaugurating its Centre of Excellence in Cameras for the whole group, where the company will develop and produce highly complex vision systems that are crucial for the car of the future. These facilities will also produce electric cable sets. In addition, they will manufacture traditional products for the local market, such as rear-view mirrors, shifter systems and washer systems, with the goal of providing a better service. “The set-up of Ficosa Group’s first production centre in Morocco brings forth new development and performance for the national automotive industry. In so doing, Morocco will lure new high technological crafts contributing to the automotive sector’s shift towards a higher end. The local value chain is getting diverse and more integrated”, declared Mr. Moulay Hafid Elalamy, Moroccan Minister of Industry, Investments, Trade and Digital Economy. 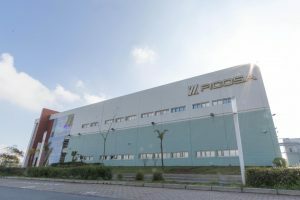 Javier Pujol, Ficosa’s CEO, highlights: “Opening our first plant in Morocco is an important milestone for the company, as it allows us to land for the first time ever on the continent of Africa. At Ficosa we are strongly committed to these facilities, having made them our Centre of Excellence in Cameras. They will be a strategic part of the group, bolstering the Viladecavalls Technology Centre (Barcelona, Spain), the company’s global hub for new technologies in vision, connectivity, safety and efficency for connected and driverless vehicles and e-mobility”. “On behalf of the whole company, I would like to thank the Moroccan authorities for all their help and support with our landing in the country. I would also like to highlight Ficosa’s firm commitment to the local society and territory, as well as to generating employment in the area,” said Pujol at the opening ceremony held today which has been attended by the Moroccan Minister of Industry, Investments, Trade and Digital Economy, Mr. Moulay Hafid Elalamy and other Moroccan authorities. Also, in attendance at the event have been José María Pujol, Ficosa’s Chairman, Yoshio Ito, Executive Vice President and CEO of Automotive & Industrial Systems Company of Panasonic Corporation, Masahisa Shibata, Senior Managing Executive Officer and Senior Vice President of Automotive & Industrial Systems Company of Panasonic Corporation, and Kunio Tanaka, Managing Director of Automotive & Industrial Systems Company of Panasonic Corporation; as well as prominent political personalities and representatives of the main automobile manufacturers along with the ambassadors of Spain and Japan. Ficosa is a global leader devoted to the production and development of high-technology vision, safety, e-mobility and connectivity solutions for the automobile industry. Founded in 1949, Ficosa currently has more than 10,500 employees in 19 countries worldwide in Europe, North and South America, Asia and Africa, with production plants, commercial offices, technical centres and R&D centres. The company posted revenue of €1.169 billion in 2016. Since 2015, Ficosa maintains an alliance with Panasonic, which holds 69% of the company, to accelerate development of key technology for the future of the automotive sector in the fields of vision, connectivity, driverless vehicles, safety and e-mobility. In addition to promoting the exchange of technology and products, this alliance addresses the desire to foster regional and client-based synergies, adding extraordinary value to the business of both companies.